Eesti Gaas is building four solar power stations in Pärnu County, which will be completed in collaboration with Paikre OÜ in December. Eesti Gaas has started the construction of its first solar power station, which is the next step after the preparation of its joint nearly half-year project with Paikre OÜ. Four solar power stations in total are to be ready for commissioning near Pärnu by the end of the year. According to Margus Kaasik, member of the board of Eesti Gaas, the power stations will allow the company to start supplying 100% green electricity. “We have set a clear course for providing fully environmentally friendly energy, and solar power will be an important and logical addition to our portfolio of natural gas and green gas,” Margus Kaasik said, adding that the solar power stations in Pärnu County will become the foundation on which Eesti Gaas is going to build the supply of renewable energy to its clients. Kristo Rossman, member of the board of Paikre OÜ, said that the strength of the project lies in the cooperation of two companies which already supply green energy and share a common vision of the necessity of further developments in clean energy generation solutions. “Eesti Gaas supplies pure natural gas, to which the company has added green gas, and Paikre specializes in waste recycling and biogas production, so solar power is another natural direction of development for both companies, and I believe we will be able to make the most of our existing expertise,” said Kristo Rossman. Four 990 kW solar power stations are to be built in Pärnu and equipped with a total of 13,000 solar panels. The power stations are being built on the 16-hectare site of the former, now closed Rääma landfill. “What gives the project a significant environmental dimension is the use of the territory of a former landfill and upgrading a site that has remained unused by means of green electricity production,” Margus Kaasik commented. The total investment of Eesti Gaas in construction of the solar power stations exceeds 3 million euros. 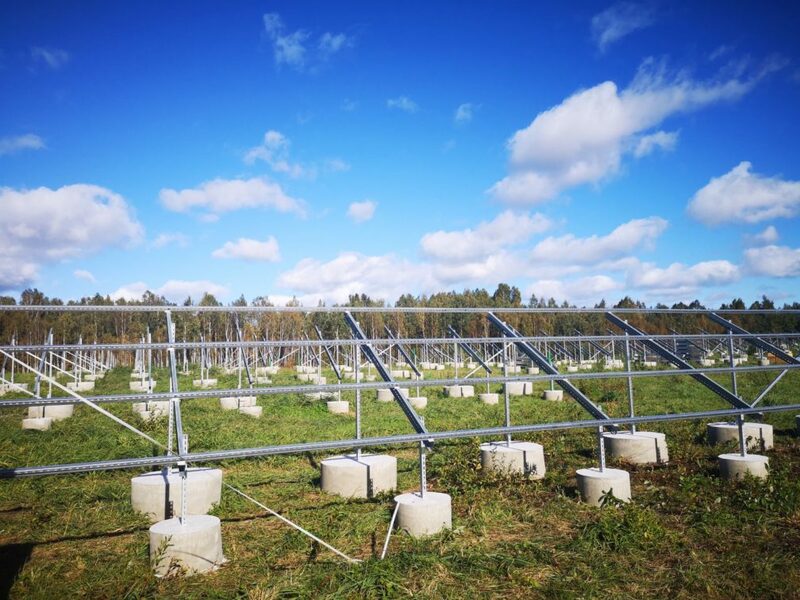 The solar power stations are being constructed by Solar4You contracted by the company Pärnu Päikesepargid, which is jointly owned by Eesti Gaas AS and Paikre OÜ.